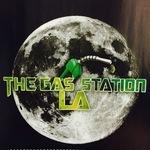 The Gas Station LA 30CAP is Los Angeles premier medical cannabis dispensary. The company offers the highest quality medical marijuana flowers, cannabis-infused concentrates, edibles and prerolls. The dispensary cooperates with the premier farms that control the whole production cycle, from seeding to harvesting and packaging. The budtenders will take the time to identify a strain that will address the individual needs of each patient best. What is more, they will provide all necessary information regarding the medical properties of every product and tell about the effects of each strain on the human body. To ensure maximum customer satisfaction, The Gas Station LA 30CAP offers a relaxed, stress-free atmosphere, where its patients will feel comfortable. The customers' happiness and well-being are the top priorities here so the dispensary will do everything possible to help its patients find relief.